The growth in eastern New Jersey makes it a great place to operate a small business, but how do you stand out from the crowd? With Valpak of Garden State East direct mail marketing. The Blue Envelope® of coupons can help you target the neighborhoods that are important to your business. All you have to do is decide on your offer and choose your printed insert format from single-panel coupons, flyers, circulars and more. 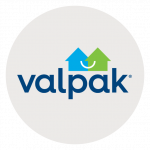 Valpak of Garden State East also provides digital marketing solutions that ensure your business gets seen online, including business profile pages on valpak.com. Our team is Google Ads certified and Valpak is one of a handful of companies that have earned Google Premier Partner status. Valpak provides the tools that enable you to track your marketing ROI with precision through our performance dashboard and call tracking features. With call tracking, you receive a unique phone number that tracks every contact and response to your printed piece. Performance tracking monitors consumer activity related to your print and digital marketing efforts. Contact Valpak of Garden State East to grow your business in Belleville, Berkeley Heights, Bloomfield, Caldwell, Clark, Cranford, Elizabeth and Essex Fells. For specific dates and coverage, contact your Valpak of Garden State East representative.